THANK YOU! 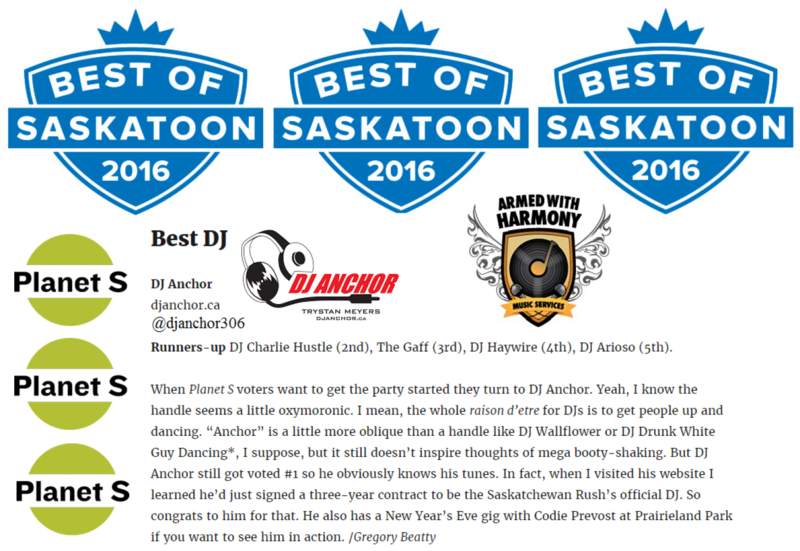 Planet S Magazine and anyone who voted Dj Anchor as “Best Saskatoon DJ” for 2016. Very Humbled and Honored As we Truly Believe We Have Some Of The Best Dj's In Canada Living In #YXE Plus 2 DJs on our team for getting 4th and 5th. DJ Haywire306 Arioso If you want to book Armed With Harmony for your event E-mail: or www.ArmedWithHarmony.ca Let's Make 2017 Even Better!